Launched by the Literature Translation Institute of Korea in 2008, List: Books from Korea originally examined the Korean publishing industry through the eyes of Korean authors, critics, translators and publishers. The magazine has now been revamped and relaunched as Korean Literature Now to better represent its identity as a literary magazine, with the aim of offering a global perspective on Korean literature. 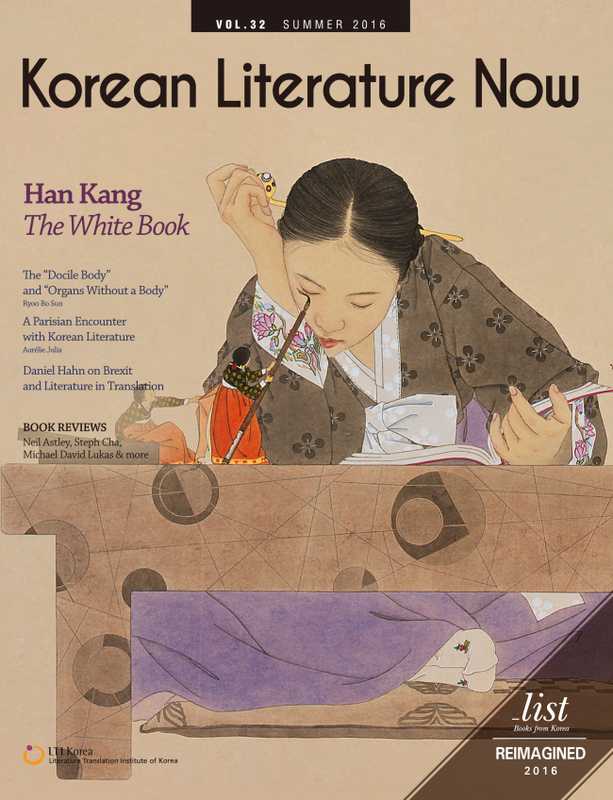 The summer issue released on Aug. 19 features international voices, including an interview with Ethan Nosowsky, the editorial director at American publisher Graywolf Press, who talked about the expansion of Korean literature abroad. “Independent presses in the United States have begun publishing international literature unapologetically and with renewed vitality. ... They are finding a receptive readership for stories that are not simply reflections of the American experience,” he says. Graywolf Press plans to publish next year “The Impossible Fairy,” a novel by Han Yu-joo about elementary school students who create a society of soul-crushing hierarchy. It would be the publishing company’s first release of a translated Korean literary work. The magazine’s renewal comes “at a time when Korean literature is receiving unprecedented attention from the world” following writer Han Kang’s Man Booker International Prize win in May, said Park Chan-woo, the managing director of LTI Press. The aim of the renewal, a process that began this January, is to examine Korean literature “from the viewpoint of those active on the global literary scene,” Park said. It also comes with the enforcement of the Literature Promotion Act this month, which gives LTI Korea legal grounds to promote Korean literature abroad, Park added. The quarterly magazine will introduce diverse genres and works of Korean literature translated into English in its future issues. An excerpt from Deborah Smith’s English translation of Han’s latest novel-essay “The White Book,” previously titled “An Elegy of Whiteness,” is featured in the current issue of the magazine. Portobello Book plans to release the English translation of the book in the UK next year. Smith, the co-winner of the Man Booker International Prize for Han’s “The Vegetarian,” contributed an essay titled, “The Globalization of Korean Literature and the Status Quo” for the summer issue of Korean Literature Now. Among other contributors are Korean-American writer Krys Lee, who discusses the achievements in Korean literature and the LTI Korea’s role, and British translator Daniel Hahn who contemplates the relationship between Brexit and translated literature’s power to evoke empathy. Writings by Aurelie Julia, literary critic and editor of French literary magazine Revue des Deux Mondes, author Michael David Lukas and Steph Cha, a Korean-American spy thriller writer, are also featured. The magazine is available in hardcopy form and online at www.koreanliteraturenow.com.